Can the Students Speak for Themselves? The answer is, yes, of course students can speak for themselves. The real question is will we listen to them, and even start including them in the conversation about their own educational experiences? This is not just a question for the established educational power systems that we typically associate with ignoring the student voice, but also for the educational reformers that seek to change those entrenched structures. Recently I have been digging more into the work of the Indian-born philosopher Gayatri Chakravorty Spivak. Possibly one of her best known works is “Can the Subaltern Speak?”, an eye-opening critique of the post-colonial movement. For those that haven’t read Spivak, I would recommend Benjamin Graves one extended paragraph review of “Can the Subaltern Speak?” as a quick introduction. The basic concern is that those who wish to help the subaltern (the economically dispossessed) gain their voice are still forcing them to adopt one voice for the entire group, ignoring the differences that exist within that group. In other words, the post-colonialists are becoming a different type of colonialist. This leads to two problems: “1) a logocentric assumption of cultural solidarity among a heterogeneous people, and 2) a dependence upon western intellectuals to “speak for” the subaltern condition rather than allowing them to speak for themselves.” Sound familiar? But what if we are forcing learners to take on epidemiological solidarity when the are actually a very heterogeneous group? What would they say about that if we listened to them when they speak for themselves? We would find out that some learners want to follow the instructor. We would find out that some want to follow their own path. We would find out that many want both, just at the time of their own choosing. We would find that some love connectivism, while others find it inefficient and pointless. We would find that some hate scaffolding, while others think it is necessary. While scaffolding might be oppressive to some, it could be supporting or liberating to others. Or it could be both at different times to the same learner. Contexts shift. People change their minds. These are not speculations. This is based on what learners have stated in the research for my dissertation. Learners are all over the map once you give them true choice, true personalization. Which takes me to my problem with what many call personalized learning. Those of a certain age will remember the Choose Your Own Adventure book series. The basic idea of this book series was that the stories were not presented as a singular, linear path. Readers would read a few pages and then be presented with options. They would choose an option and turn to that corresponding page for that option, and so on until the adventure ended. Usually it ended poorly or kind of neutrally, but the goal was to keep trying until you arrived at one of the “good” endings. There were generally about 12-40 full story lines in each book to mix and match. Most people that read these books developed a strategy of gaming the story lines, usually by bookmarking the last few choices with various fingers. If one choice led to death, just back up a step or two and try again. 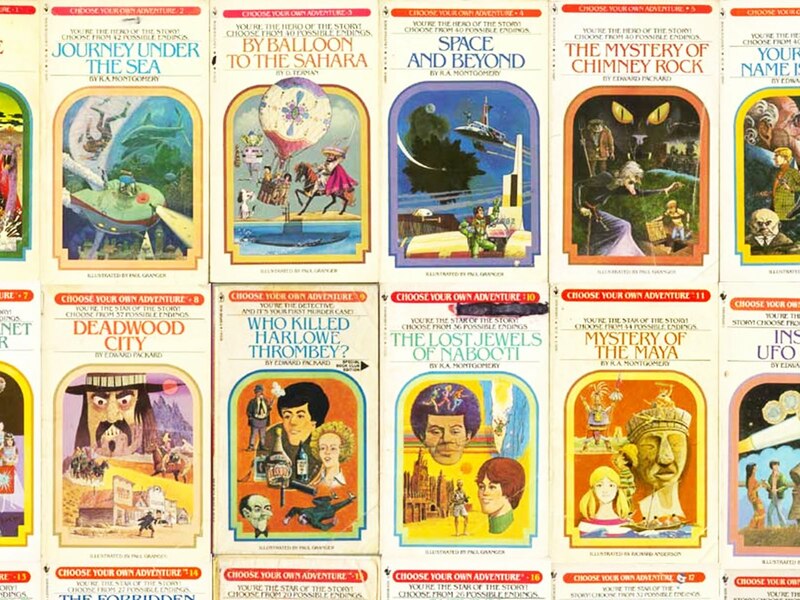 The reality was that these were less “Choose Your OWN Adventure,” as much as “Choose One of 40 or so Pre-Determined Pathways to Entertain You With the Illusion of Choice.” This is also the premise of many (but not all) personalized learning systems. The programmers create a pre-determined set of options, and the learner has the illusion of “choice” and “personalization” as they choose various pre-programmed scenarios. To me, true personalized learning would allow learners to speak for themselves, while not forcing them to follow one person’s view of the “correct” way to learn. True personalized learning would treat learners as an epistemologically heterogeneous group, giving them the ability to speak for their own personal epistemology. Because the bigger problem is that when the experts come in and say “connectivism is good, scaffolding is bad, here are the ways you are going to connect with others”, they are really just creating a form of neo-instructvism that still forces learners to follow what the expert at the front says to do (even though it may be pre-prescribed connected learning). 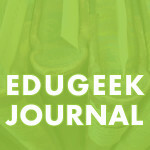 These neo-instructivist connected learning activities are not theoretically – they currently exist in online courses. Learners are told to go to write their own blog and then comment on three other blogs in order to pass. Or compose a tweet and then respond to three other tweets. Or post a picture on Instagram and then comment on three other pictures on Instagram. Sure, that is connected learning and research tells us that learners will retain more because they applied it while connecting to others. But where is the student voice in forcing them to all have a blog and then forcing them to comment and interact (or else don’t pass the course you took out a big loan for)? Or what of the instructor that doesn’t provide any guidance and just dives into student-centered learning… whether the learners want it or not? Where is the student voice in that pre-determined student-centered design? Sure, these instructors will win awards and be praise all over the Twitter-sphere for innovative, connectivist learning. For fighting instructivist colonialism. And so on. But what if these post-instructivist crusaders are causing the same damages to learning that the post-colonialist crusaders were causing that Gayatri Chakravorty Spivak noted? What if we are mistaking a statistically significant research result for the lone “voice” of what works for all learners at all times? First, personalized (or adapted) learning in Ed Tech can be very behavioral; a complex Skinnerian teaching machine with all kinds of colonizing implications. But I also sense a dialogic tension in this post similar to the ideas of M.M. Bakhtin. We all speak into a genre, a structure about what is allowed in speaking or in a social practice, but yet in each instance we also create something new and reaffirm our uniqueness. 1. I both actively and passively participate in Being. 2. My uniqueness is given but it simultaneously exists only to the degree to which I actualize this uniqueness (in other words, it is in the performed act and deed that has yet to be achieved). 3. Because I am actual and irreplaceable I must actualize my uniqueness. Giving the students an opportunity to speak for themselves will allow them to have more of a hands on learning approach. Their future is literally in their own hands. I believe this is very useful when students choose their classes for the following semester. It will give them the freedom of choosing classes that will help them in their future. If a student is unsure what they would like to do when they graduate, then they have the option to take different courses from the whole educational spectrum to help guide their path. Although, overall this type of system would be beneficial, I am hesitate in saying the students should be able to make all of their decisions throughout their education. For example, leaving homework, or assignments an option could possibly hurt the education process. Having students do worksheets and assignments after they learn a new topic is a great way to reinforce the learning, and having these assignments as just options would mean a handful of students would not complete the assigned material.